I'm a girl with happy feet at the moment. If the image above doesn't seem to give an obvious enough hint to you all. 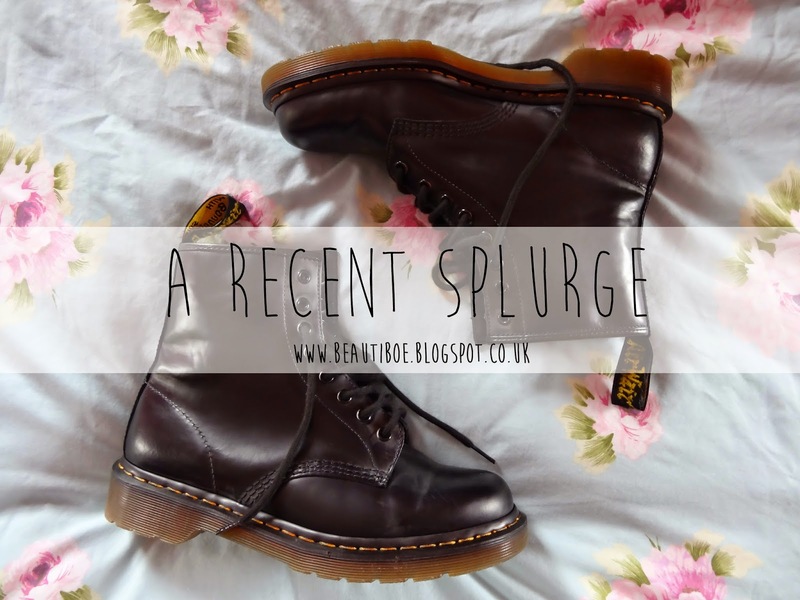 I've recently splashed out some cash on a new pair of Dr Marten boots! I've always wanted a pair of these but never found the chance to part with a chunk of money for the boots. For a little while now, I have had an email subscription to a website called Secret Sales. For those of you who aren't familiar with the website. It's a 'members only' type of thing. You can only see what they have for sale if you create an account (which is free!) and log in. "Secretsales brings you luxury products you'll love forever, at prices you can afford." The website hosts a variety of sales that may only last for a matter of days. Once the items are gone, they're gone! 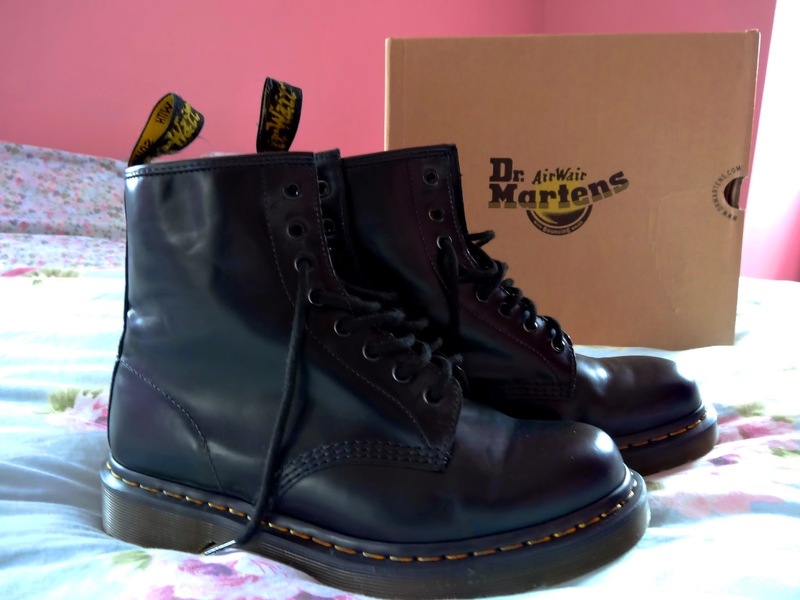 I've only ever used the website this one time, to purchase these dm's for the bargainous price of £59.99 (RRP £99.99) They had a variety of options available but colours were subject to sizes. I was after a black pair anyway - woo! One thing I liked the most about the delivery of this product is that they kept you in the know of the status of your order. From clicking the purchase button to having the product delivered happened in a reasonably quick time - I was pleased! If you haven't seen or signed up to Secret Sales - you're crazy not to! Click this link to be invited to join! This post was not in anyway sponsored by Secret Sales. Everything written here are my own views and opinions.